The Cayman Islands has is divided into six districts; Bodden Town, Cayman Brac and Little Cayman, East End, George Town, North Side and West Bay. The capital is George Town (on Grand Cayman). They are located in the Caribbean Sea and there are three island group (Grand Cayman, Cayman Brac, Little Cayman) in Caribbean Sea, 240 km south of Cuba and 268 km northwest of Jamaica. The highest point is The Bluff on Cayman Brac (43 m). The major seaports are Cayman Brac and George Town. Cayman Islands are an overseas territory of the United Kingdom. 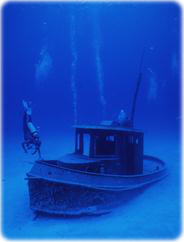 Wreck of Anna Marie, Grand Cayman. 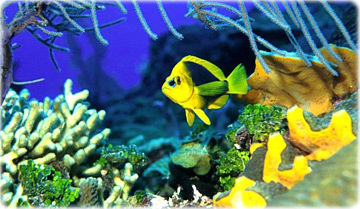 A butterfly fish, Grand Cayman Islands.